Kids who wear glasses and participate in sports need frames that can hold up to the demands. However, if separate sports pairs are used for indoors and outdoors, and a regular frame is used for non-sporting activities, it can add up to serious costs for parents. There is, however, a way to avoid this expense: Use prescription sports glasses with Transitions lenses. Technically, Transitions is a brand of photochromic lenses. Photochromic lenses now come in many brands as well as generics. The generics are sometimes called “transition” lenses – with a small “t” at the beginning, and no “s” at the end – to distinguish them from the brand-name versions. Photochromic lenses of all brands have a very unique and useful capability: They turn dark when exposed to UV light, and return to clear once the wearer is either inside or in a car. Why Choose Transitions Lenses for Youth Sports? One of the main reasons to choose these lenses is that youth sports often involve playing and practicing in both indoor and outdoor settings. By using glasses that adapt to the lighting conditions, parents can eliminate the need to buy two pairs. Unlike with many money-saving moves, kids love photochromic lenses because they’re cool. Being cool is an easy way for them to be more popular, so they are unlikely to even consider the fact that they’re actually cheaper for their parents in the long run. Using Transitions lenses for sports glasses can also eliminate the need to buy different glasses for everyday use. Many young people (including younger adults) prefer to wear sports glasses as they go about their day-to-day activities. Sports frames are often cooler than regular ones, especially when worn with certain clothing styles. They’re also sturdier, so those who have problems with breaking their everyday glasses are better suited by them. Because one pair of sports glasses with photochromic lenses can replace two pairs of sports glasses, a pair of everyday glasses, and a pair of regular sunglasses, it’s like getting four pairs for the price of one. Whether your child wants Transitions lenses because they’re cool, you’re looking to avoid the need to buy multiple pairs, or both, you and your child are sure to enjoy your new sports glasses. They eliminate the need to switch between glasses, the risk of losing a pair, and change from clear to tinted fast enough to avoid inconvenience during the switch. How Do Transitions Lenses Work? Photochromic lenses darken quickly in response to UV light. It can take less than a minute for the best ones to go from clear to shaded, though some take up to three minutes. The strength and speed of the effect depend on the amount of UV light the lenses are exposed to. Full return to the clear state takes a bit longer – between three and five minutes. Even though UV light is the main trigger for darkening, temperature is responsible for the lightening process. This makes it so that the darkest color the lenses reach is controlled by the interplay between the two. The same is true of the speed of lightening. Hot temperatures promote lightening of the lenses, so they turn clear quickly when entering a hot, UV-free environment. However, this same process makes it so that if you’re in a hot environment, the lenses likely will not get as dark as dedicated sunglasses will. What Options Are Available for Youth Sports Glasses with Photochromic Lenses? 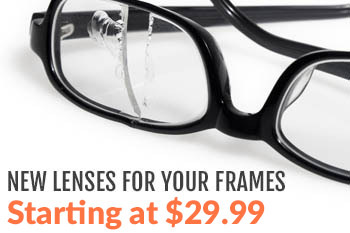 These lenses will work in any frame that can accept a prescription lens, so there’s no need to worry about that aspect. However, there are some limitations as to what the lenses are made from. Many photochromic lens manufacturers only produce their lenses in certain materials, such as polycarbonate or plastic. This is because a different process needs to be used for glass, and that process is sensitive to the variations in thickness of prescription lenses. Polycarbonate lenses are usually best for sports glasses. This material resists breakage and scratches, making it ideal for use during rough activities. Of course, nothing is completely invincible, but it should hold up better than standard plastic. There are many other options that can be added to a new pair of photochromic glasses. Some other coatings are compatible with them and worth a look. 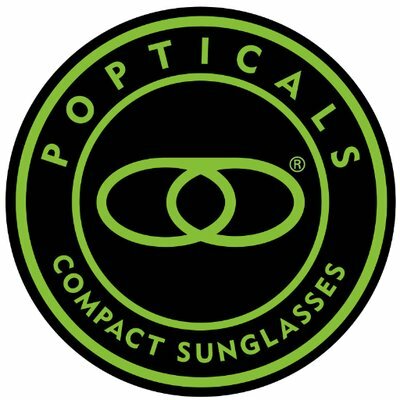 Check out anti-scratch coatings, Transitions lenses with polarization, lenses that provide a little shading even while indoors (these are good when the indoor light is too bright), and other such possibilities. With glasses, it’s always tempting to choose the pair that looks the coolest. However, for kids who are getting sports glasses because they actually play sports, function must also be considered. Be sure that the frame will offer the needed protection from projectiles without interfering with vision. Many sports glasses have thick temples that are meant, in part, to protect the eyes from large objects coming in from the side. In theory, this is fine – but it will be a problem with certain sports. The thick temples may block peripheral vision and cause the player to miss balls coming from the side, not see approaching players, or result in other practical problems. That said, the same design is fine for things like golf, swimming, kayaking, or other sports that don’t involve keeping track of objects and people in the peripheral vision range. To avoid problems, imagine yourself performing the activities the glasses will be used for. Also, ask your child if his or her teammates have made comments about specific frames or problems with seeing everything. Then, get the frames that allow the field of view that will be needed. When buying glasses, the focus is on the lenses and frames – but that doesn’t mean that this is all you should buy. It’s a good idea to get a hard glasses case if you buy more than one pair. This will keep the spare safe from impacts and crushing as well as scratches. You should also go ahead and get a cleaning kit. Eyeglass retailers always have a kit so that you’ll be able to clean the glasses right from the start, and it’ll have the super-soft cloth and solutions that work well for this. Though every eye doctor’s office seems to have frames ready, they’re almost never the best sources of eyeglasses. This is partly because they have high overhead, and they pass on those costs by inflating the prices of their frames and lenses. Some offices also don’t have the selection needed for you to get the best-looking or most suitable frames. Buying your glasses online eliminates these problems. Our site has plenty of frame options, and since we don’t have to cover the costs of an expensive retail store lease, display racks, and sales staff, we don’t have high overhead to cover. This means that you get a better selection than some stores offer, and a lower cost for good frames. Online buying is also easier. You have the chance to consider your options without a salesperson trying to push you into whatever pays the most commission. What Do You Need in Order to Buy Glasses Online? Prescription lenses require a prescription from an eye doctor. This will provide all of the information that is needed to get the strength of your new lenses correct. Once you have the prescription, all you need to do is copy that information into our site’s form. You will also need your PD (pupil distance or pupillary distance). This tells us how far apart your pupils are from each other. Your lenses will be ground so that this area is the focal point. You can measure your own PD, though if you can get someone else to do it for you, that can be better. If you measure your own, check several times to ensure accuracy. Is There Anything Else Involved with Buying Online? Once we have the basic information, you’ll need to select the type of lenses you want and any additional lens options. Our form makes it easy – you can only select compatible options. This is where you’ll find the option for “transition” lenses of various kinds. Each option also lists its cost, so you won’t get any surprises at the end. After you select your frames, lenses, and lens options, you’ll see a section where you can get add-ons like cases and cloths. Be sure to pick some of these so you’ll be all set to go when your glasses are delivered. To get started on choosing a new pair of youth sports glasses with photochromic lenses, just head over to our site with your prescription ready. The URL is http://www.myeyewear2go.com. We look forward to your order, and will get to work on it right away. If you would like help with ordering, have questions about the options, just contact us by calling our customer care line. The number is at the top right of our site.